Webcam "Weather Webcam Luleå "
In Luleå, there is the Webcam Weather Luleå with motif: Domkirche. 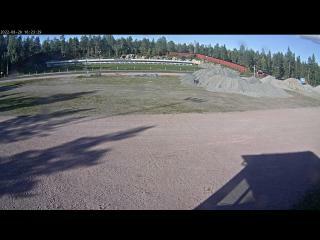 The webcam Luleå is regularly updated with new pictures. Track the current weather in Luleå with the webcam LULEå. Luleå is a city in the northern Swedish province of Norrbotten County and the historic province of Norrbotten. The place Lulea lies at the mouth of the Lule in the Gulf of Bothnia. Luleå is residence of the Province and capital of the municipality of the same name. Luleå is located about 110 km south of the Arctic Circle at the northern end of the Baltic Sea. Take a look to Luleå via our weather Webcam Luleå. The current live Weather for Luleå is provided by netatmo.